Boy, it’s been a hot summer. I love traveling with my humans and running through sprinklers, but I’m ready to take a break and relax with my master in the cool evenings. Watching football together on the couch? Now, that’s something I can wag my tail about! … and “Fall” in love with something even cozier than a sweater! Summer is winding down, autumn is on its way, and “Happy Cat Month” is in full swing, so keep your eye out all month long for adorable kitties galore! We’ll keep you “aww”ing with too-cute stories, incredible tips from the “Cat Daddy” to keep your purr-fect companions pampered and healthy, and showcase all the best ways to help your feline navigate life’s most difficult transitions. Here at KirinGie.Me, we’re all about community and protecting our pets when life happens, and we’re so excited to have you as a part of it! It’s been a bumpy month for our team as we each balance personal struggles, day jobs, and our devotion to KirinGie.Me’s mission, but our dedication to animal advocacy has never wavered. Soon, we aim to have enough subscribers in each of your cities to take the plunge and release our unique tool to help every pet parent prepare for unexpected life events. We encourage you to invite your family, friends, and acquaintances to join us in our cause. Back in August we celebrated National Dog Day with an adorable conversation between man and his best friend, and earlier in the month, paid special tribute to National Black Cat Appreciation Day by exploring the beauty and history of our favorite black felines. Stop by KirinGie.Me to share your love for all the colorful companions in your life, whether black, spotted, striped, or indescribable! The KirinGie.Me team also had their hands full this past month covering a multitude of particularly difficult topics as we dedicated August to responsible pet ownership. We explored a number of common struggles pet owners face, including unexpected moves, pets and divorce, and how to navigate pet ownership while managing allergies, all of which can cause animals to wind up in shelters. At KirinGie.Me, we may not shy away from real-life topics such as these, but we do strive to arm our readers with solutions in order to keep every animal in a safe and loving home! While this month may be all about cats for some, our calendar is packed with tips for Fido as well! September is National Guide Dog Month, and we have some touching articles queued up to help our readers understand the anxieties and challenges of guide dog ownership, as well as recognize the role service dogs play in animal rescue causes. All of this will tie into National Deaf Pet Awareness Week, where we will share with you some straight-from-the-source ways to recognize when your pet has trouble hearing, as well as how to manage their special needs. You don’t want to miss it! In the upcoming weeks, we will also be sharing ideas on how to keep your pets safe during this devastating wildfire and drought season, and how KirinGie.Me can help protect you and your companions in the event of an emergency. Courtesy of the KirinGie.Me team, here are some additional causes and holidays for animal-lovers like you that you may not know about. Hashtag and share your best anecdotes, photos, and more by connecting with us via Facebook, Twitter, and Pinterest! Adopt a Less Adoptable Pet Week (9/20-9/26) – Long name, great cause! Age and breed can often lead many wonderful animals to live their entire lives in cages. If you or someone you know could use a new companion, consider thinking outside the box! Pay special attention to our Forget Me Not campaign this month as we seek to raise awareness for incredible animals who have been too-long passed up for adoption. Deaf Dog Awareness Week (9/20-9/26) – Eh? What’s that, human? Just because your companion is hard of hearing doesn’t make them any less awesome. We’d love to hear your stories! Remember, KirinGie.Me is first and foremost a community of pet owners, and hearing from our passionate readers and fellow animal-lovers really makes our tails wag. Share your ideas and feedback! 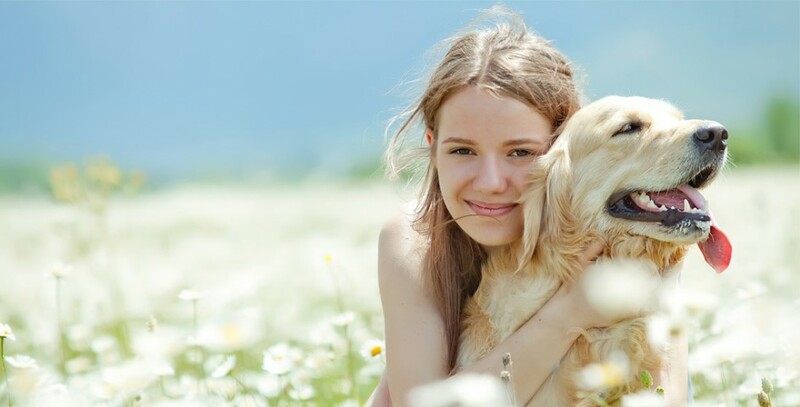 At KirinGie.Me, our goal is to educate our readers on responsible pet ownership at every stage of life, as well as provide relevant content on the challenging topics. We want to make our readers smile at our successes, even as we must broach the subjects of animal cruelty and neglect. Together, we can keep animals off the streets and provide pet-parents with the resources to act responsibly during times of need, as well as lighten the burden of animal shelters across the nation. Help us help them by staying engaged, comment, post, share!